Google’s recent announcement that it has bought a drone company called Titan Aerospace means that the internet’s three biggest giants are all now part of the Air Drone Craze. Facebook, which considered buying Titan itself, has purchased a drone-maker called Ascenta, and Amazon has been busy with their Prime Air delivery service, a program using drones that deliver packages and are working to have it underway by 2015 and has furthered its effort by hiring lobbyists for its drone program. 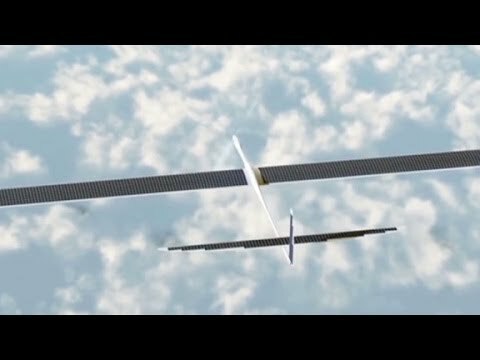 Titan Aerospace designs the Solara 50 and 60 nonstop “atmospheric satellites,” unmanned ultralight solar jets designed to fly nonstop above commercial air traffic and can remain aloft for up to five years. They use wing-mounted solar panels and on board battery storage for night flying to propel the low-wind tropopause vehicles. They fly up to 65,000 feet. Size-wise, the jets are big as Boeings, with 165-foot wingspans. The small (20-employee) company based in New Mexico has pinpointed initial commercial operations for 2015. 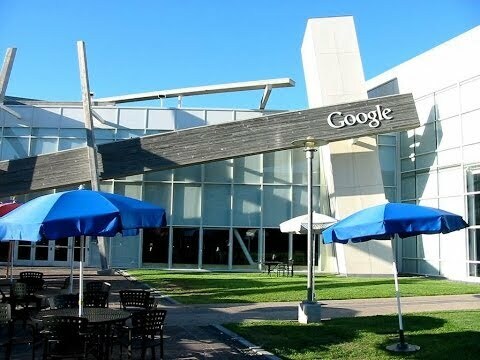 We’ve all heard about Google’s self-driving cars and Google Glass. But what most people are not aware of is their eight other robotics companies, focusing on manufacturing in its quest for technological automation or perhaps to control a workforce of humanoid robots and drones around the world. Who knows? The companies include Schaft, Industrial Perception, Meka, Redwood Robotics, Bot & Dolly, Autofuss ,Holomni and Boston Dynamics and now Titan Aerospace. The acquisitions certainly have the attention of the rest of the drone industry, which now largely consists of small, privately held companies sitting on various competing technologies that are waiting to see how customers — or perhaps these future corporate giants will put them to work. Facebook intends to use the high-altitude flyers as part of a network of linked satellites, drones and lasers that can beam Internet to remote communities from the sky. Facebook knows that if it wants to remain a major presence in the emerging Internet of things, it will need to extend beyond software and into hardware. Drones are one means of doing so. In regards to the Google X project (Project Loon) which works on a high-altitude network of sophisticated balloons carrying radio transmitters to extend internet service over the southern hemisphere. These Solar-powered drones offer advantage over balloons because they can handle adverse weather conditions better. So what are the tech giants really going for? The drones could collect data and aerial imagery to be used in online maps and services. They could be used in disaster recovery and for oceanographic and geologic research. They could also monitor weather and traffic data from a long way up. From a business stand point however, these networks also have the potential to sell more digital advertising when more people are able to go online. Drones are no longer known as weapons of war. At least, that’s how online giants like Google, Facebook, and Amazon appear to be thinking. When you saturate your market and you’re among the world’s most wealthy companies, the next logical step is to globalize wireless internet and build new avenues of revenue. The next hurdle will be access to the skies and with big money fueling the effort it will probably be sooner than later. Deals on NEW and Popular Drone Models Now Available. Check out our Drone Deals page now for current bargains on beginner, hobby and professional photography drones. Includes the latest mini and FPV models. FIND YOUR DRONE DEAL NOW! The owner of this website is a participant in the Amazon Services LLC Associates Program, an affiliate advertising program designed to provide a means for sites to earn advertising fees by advertising and linking to Amazon properties including, but not limited to, amazon.com. The owner of this site does not make any guarantee concerning these offers and all offers should be viewed as recommendations only.